I got a new gadget this week. It just so happens that this new purchase completely changes the playing field for both the overabundance of zucchini growing right now, and my gluten free lifestyle. Win. Win. I love it when I can spend less than 10 bucks and have my life improved! The new liberating object? A julienne peeler for $8.99, just like this one! I’ve been wanting to try vegetable noodles for some time now. I just haven’t gotten around to it. But the other day, while grocery shopping, someone was doing a demonstration. Less than a .003 second and I was hooked (and truly, no demo is needed, it’s just like peeling a carrot…only the little ‘teeth’ slice the peels into skinny strings). I rushed home with my new toy and broke out the zucchini. Ahhhh. Beautiful. Lovely. Perfect. 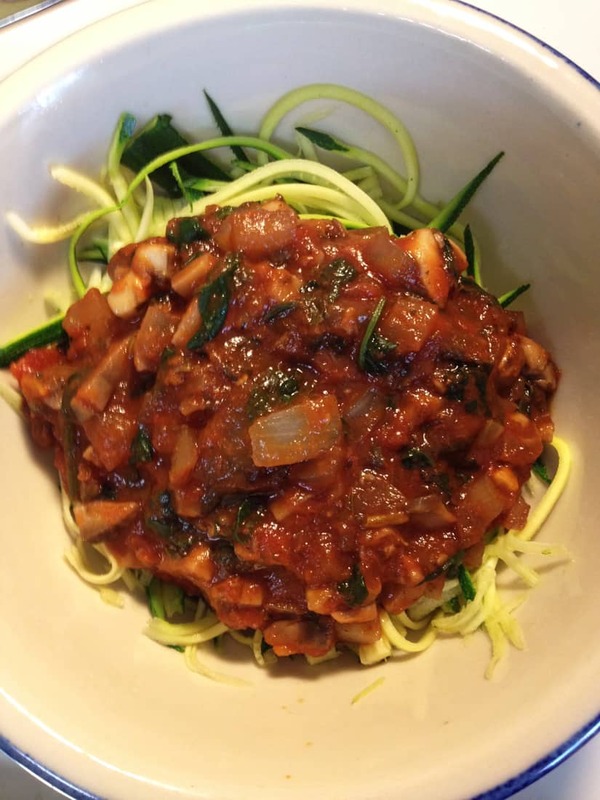 I whipped up some sauce with onions, garlic, mushrooms, basil and spinach. Mmmm. Dinner, quick. A big bowl of vegetables. ONLY vegetables. Nothing else. 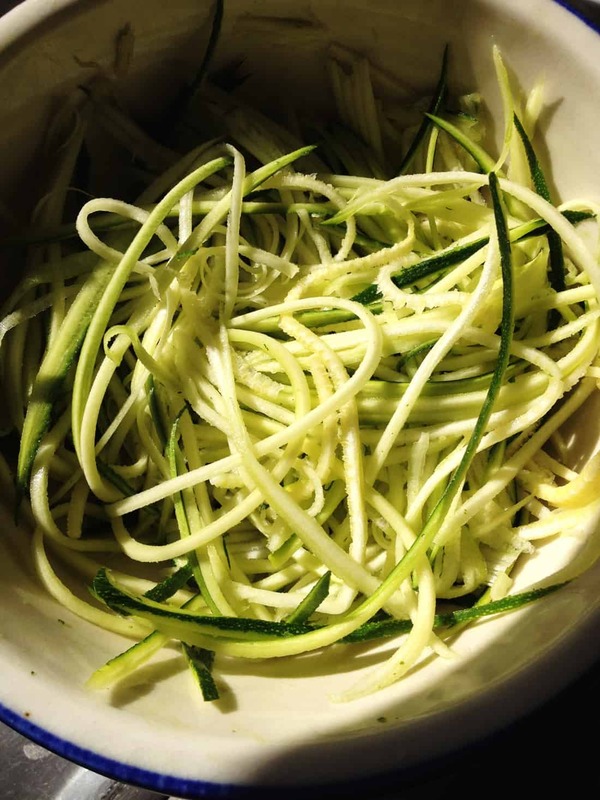 This puts a whole new twist on zucchini dishes! You’re now feeling inspired yourself, aren’t you? Yep. So go eat your vegetables. Enjoy! 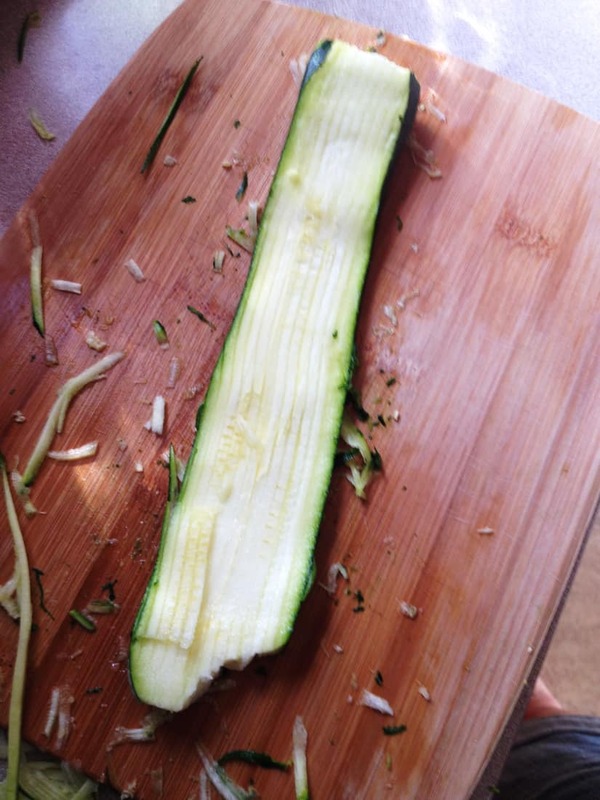 PS If you’d like more zucchini recipes, check out here and here for about 20 more ideas.